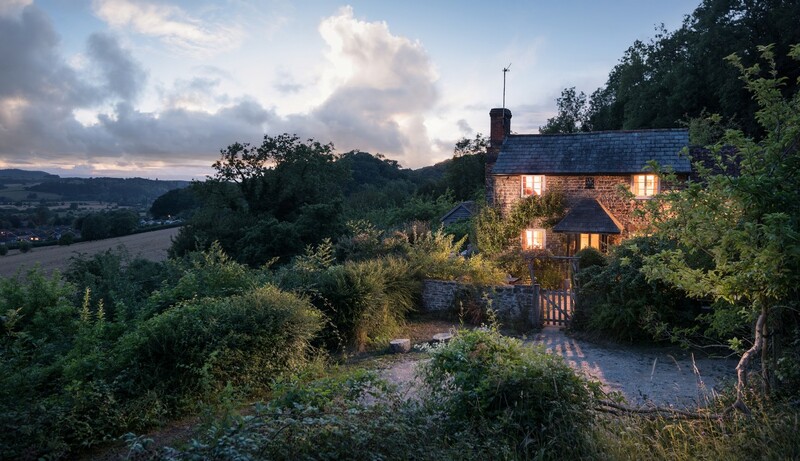 Covered in clematis, encircled by wildflower meadow gardens and certainly not lacking in fairytale charm, Apifera nestled deep in the Wye Valley is an enchanting luxury self-catering cottage far from city crowds. 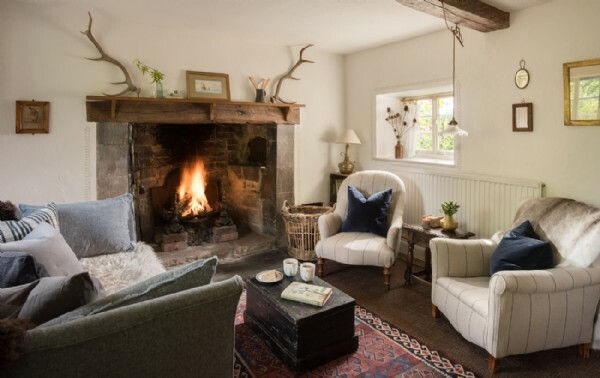 Tangled orchards, twisting vines and handmade touches combine to make a slice of The Good Life that will have you running away for the Hereford hills forever. 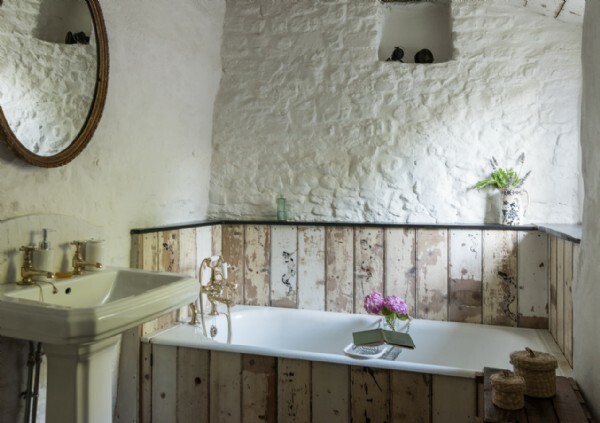 Sitting pretty in an Area of Outstanding Natural Beauty and overlooking the River Wye, Apifera was built way back in 1600 by lime workers quarrying nearby. 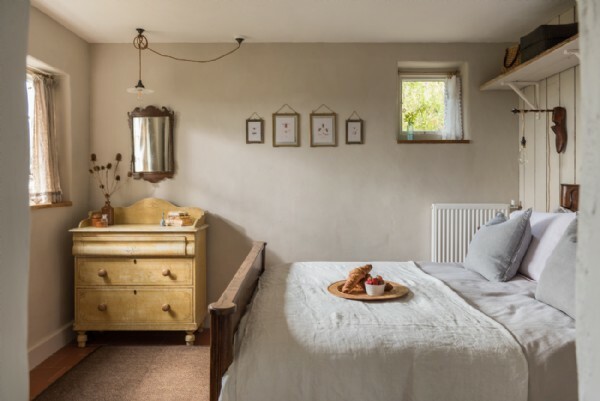 Restored to its former glory with the helping hand of traditional building methods and a whole load of love, this private self-catering home, raised from the ground it sits on, has an air of whimsy in every nook and cranny. 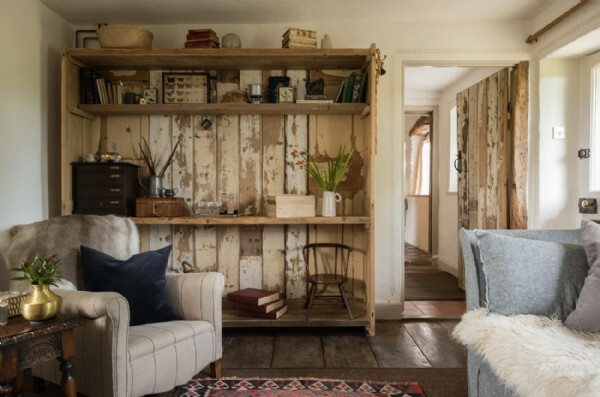 Each item of furniture and every detail has been carefully curated from auctions and antique stores, rescued from flea markets and resurrected from Grandma’s long lost cupboards. Outside, an orchestra of flowers and foliage welcome the day with a crescendo of colour and smell, following the sun as it journeys across the sky. 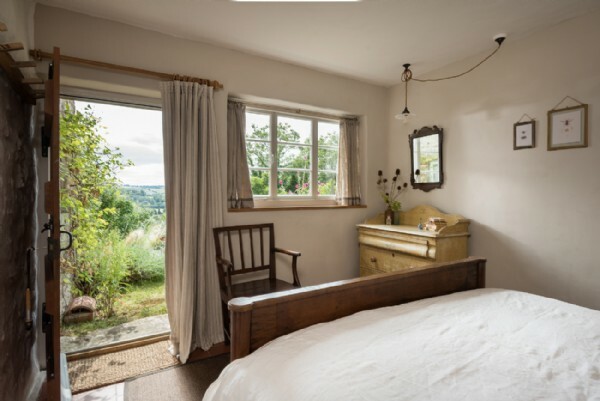 On the ground floor and with a door made from reclaimed wood leading out into the gorgeous English garden, is Apifera’s master bedroom with a queen-size, wooden ornate bed and wild countryside views. 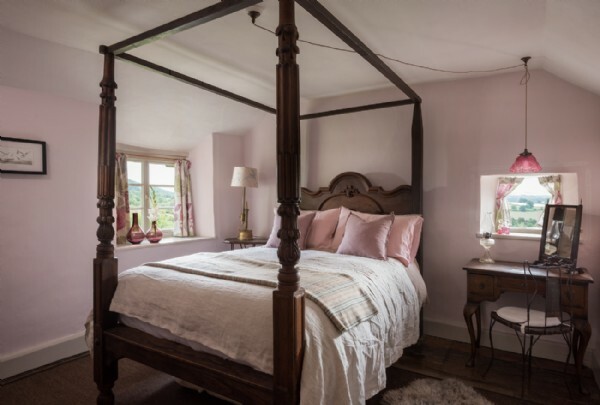 A dusty pink double bedroom, boasting a four-poster double bed, resides up the wooden stairs on the first floor along with the small but sweet single bedroom, available only for a cot or toddler. 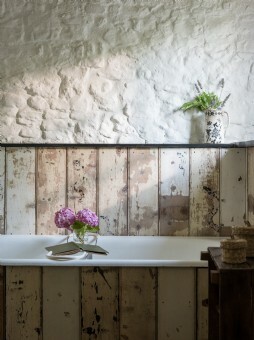 Beside the kitchen on the ground floor is the bright cottage family bathroom with original bathtub, cradle shower and WC. 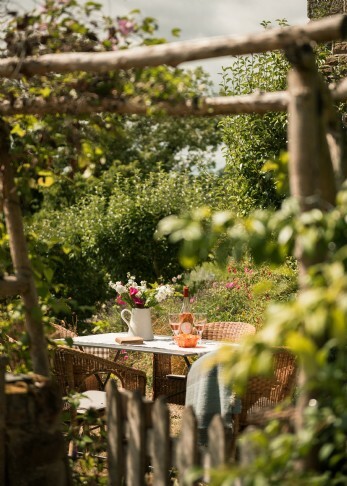 Beautiful and secluded, outside space is in nothing but abundance at Apifera. 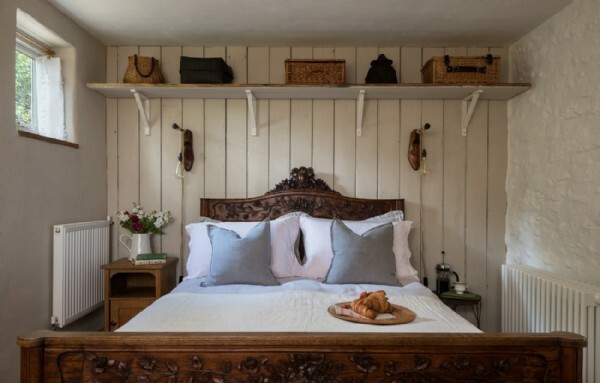 Lay back and cloud watch among the wild orchids in the cider orchard, bask in sunbeams on the south-facing terrace or wander the vineyard, dreaming of a sommelier’s life at sunset. 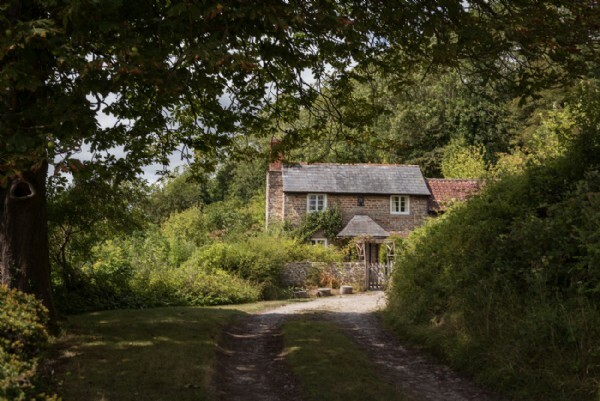 Surrounding the cottage are six acres of dreamy SSSI designated woodland overflowing with vibrant butterflies, perfect for sneaking off for a romantic picnic in dappled sunlight. When the day draws to a close and an empyreal night covers the land, turn eyes to the ground as well as the sky; glow worms are well known in these parts as well as especially twinkly skies. 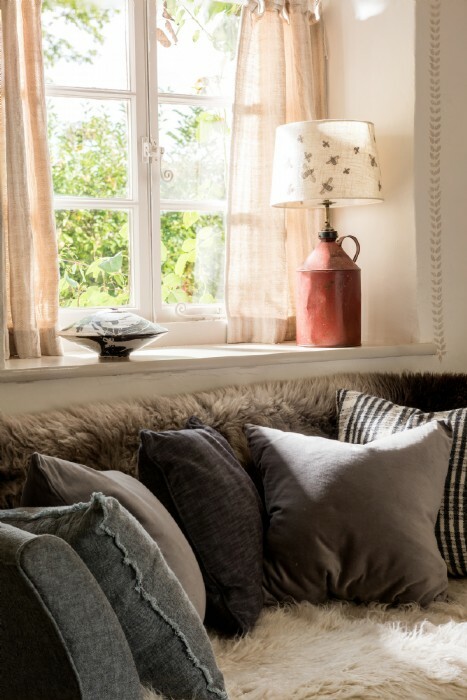 With simple, calming interiors and a garden to die for, nothing else in the world seems to exist when at Apifera. 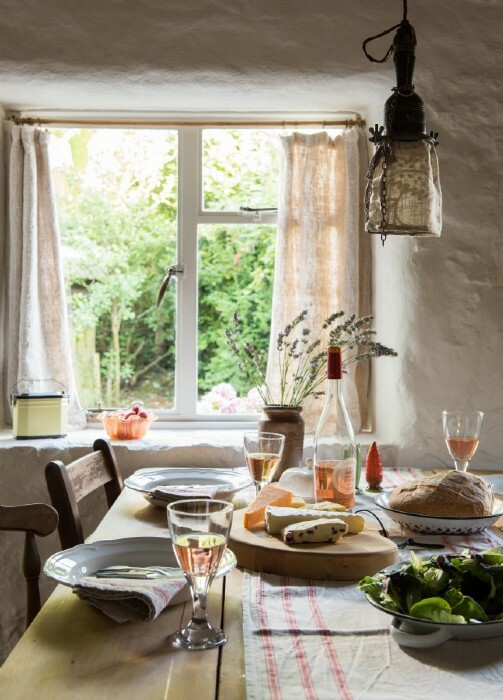 Stock up on goodies from the village shop and fruit from the garden and settle down under the trees, glass of cider made from the orchard in hand, to watch the world lazily drift by in the valleys below. 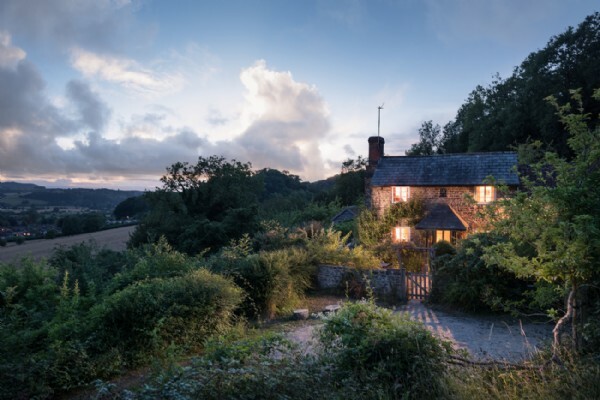 Spend afternoons with hiking boots, wandering the woodlands of the Wye and Forest of Dean, ambling with wildlife and snacking on homemade cake. 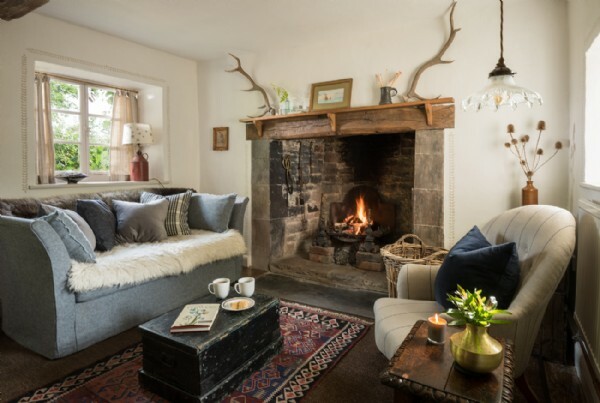 With little ones tucked up in bed (or at home with the grandparents) and only a small television to steal attention, cosy nights spent next to the enormous open fire getting to know one another again over a bottle of wine are of the highest importance. There is ample parking for two cars. Please be aware of the drop from the terrace to the garden. 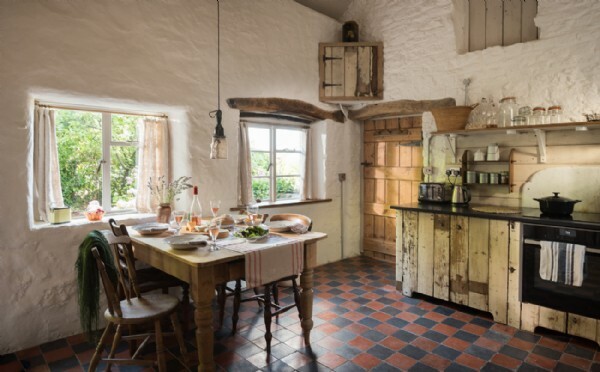 The country cottage style kitchen features a larder fridge, tabletop freezer, dishwasher, washing machine, wood stove, oven, microwave and underfloor heating. 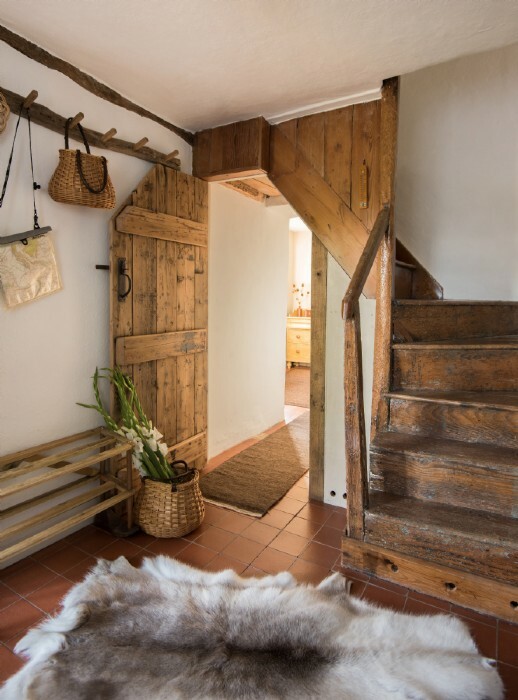 To rinse off muddy boots, a shower is located by the kitchen door. 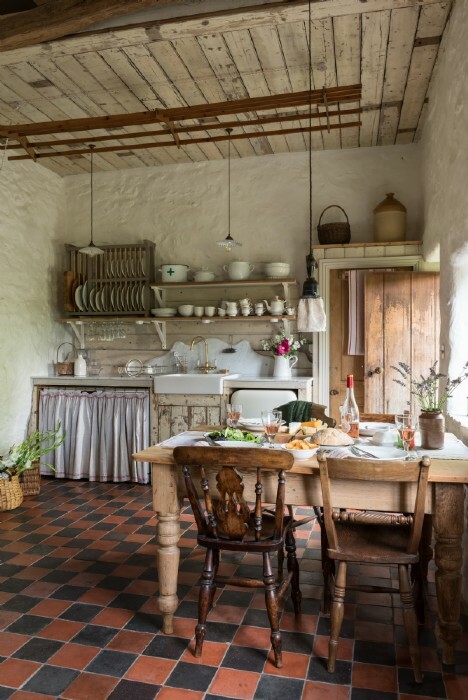 Style: Perfectly simple and gorgeously rustic, this English country cottage in the Wye Valley is a secret garden hideaway complete with rare butterflies, glow worms and stunning pastoral views. 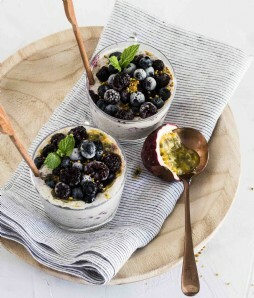 Apifera is our little bit of Heaven. 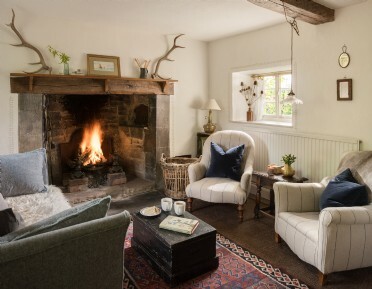 A place to retreat, unwind and be still for just a moment. 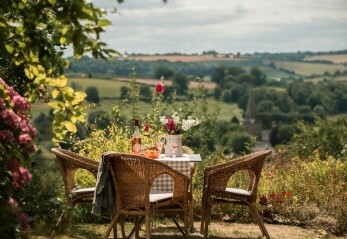 Its position, sitting on the side of a hill, has the most glorious southerly views across the rolling hills of Herefordshire, Wye valley and River Wye. 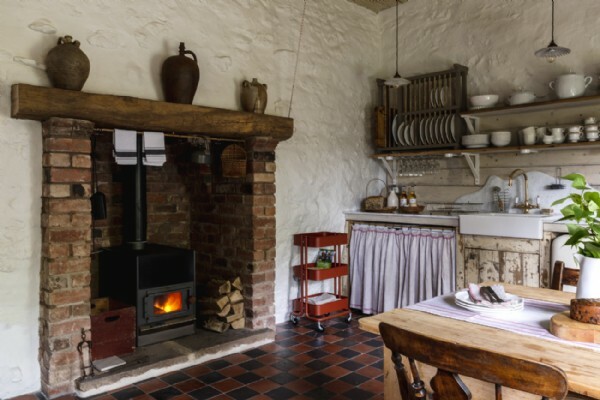 Discover places to see and things to do whilst in and around Fownhope, Herefordshire to truly enhance your stay come rain or shine! 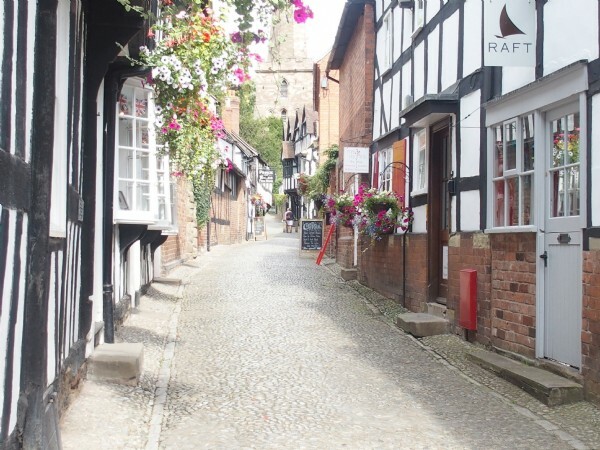 Visit Ledbury This lovely, thriving Herefordshire town littered with half-timbered homes, quaint galleries and independent boutiques has won the accolade of best high street in the country on numerous occasions. 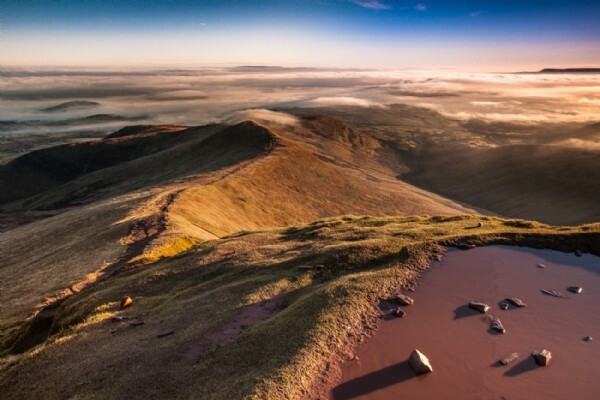 It is also home to one of the country's most prestigious poetry festivals which draws the crowds from far and wide. 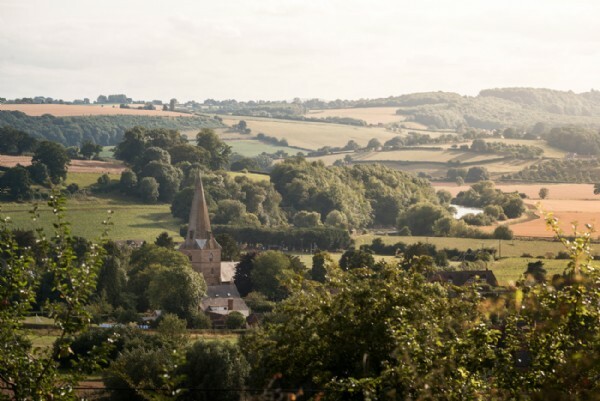 Here the affluent, famous and a wealth of literary masters come together to talk words in the most gorgeous of rural English settings. Hike, hike, baby! 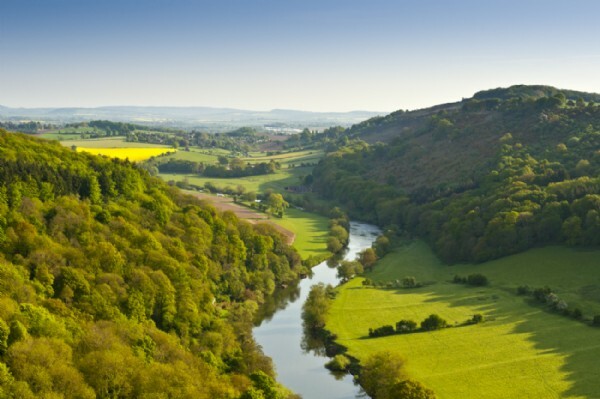 Step out of the front door and straight onto the Wye Valley Walk, a stretch of 136 miles of meadows and gorges, woodland and hills. 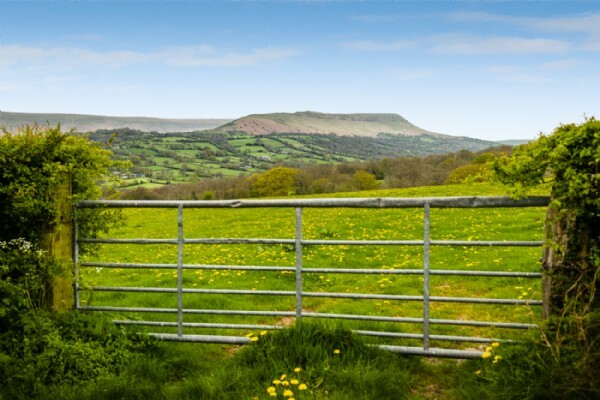 From Apifera, the rambles are wooded, leafy and perfect for wildlife spotting. 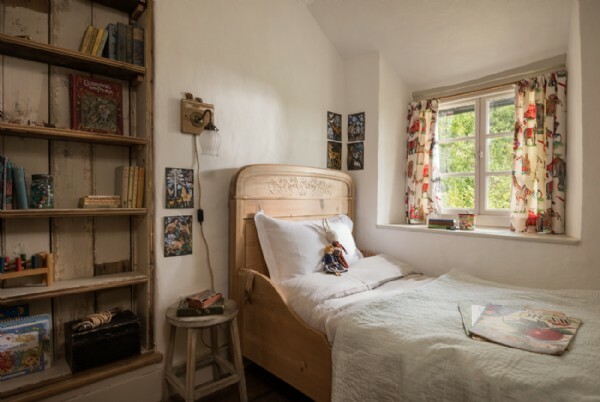 Hay-On-Wye Head to Hay-On-Wye, a 45-minute drive away, to thumb through the pages of the town's famous old bookshops and sweep through compelling reads tucked away in the nooks of this charming book-selling terrain. Canwood Sculpture Farm Opened by a farmer after beating leukemia in the 1970s, Canwood Sculpture Farm is a non-profit place of beauty which gives all proceeds to St Bart's Hospital in London. 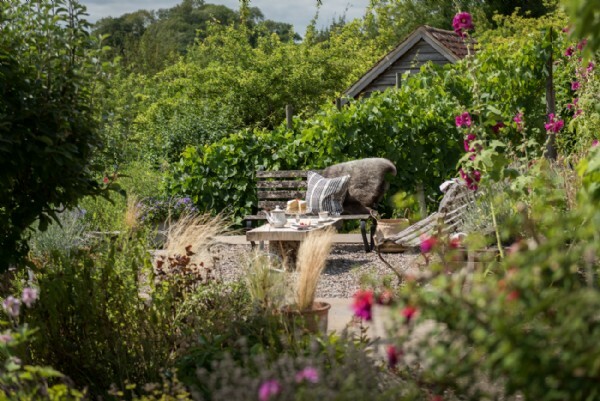 Along with the many outdoor sculptures which offer a fascinating setting to spend an afternoon, local artists also showcase their work in the onsite gallery. 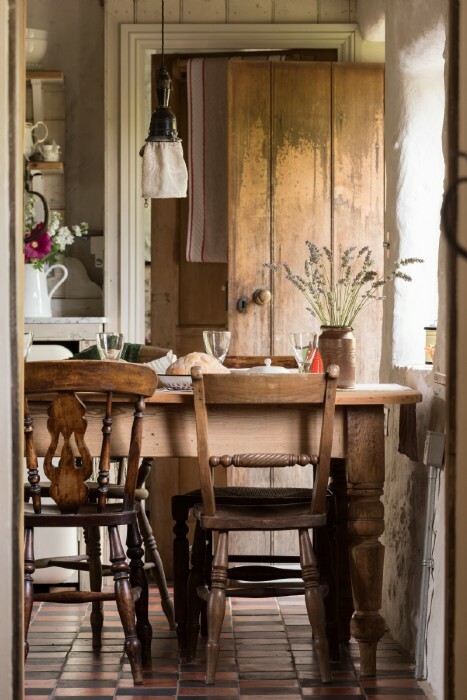 The garden tearoom, serving delicious cakes and naughty cream teas, is well worth a pit-stop for any sweet-toothed art enthusiast. 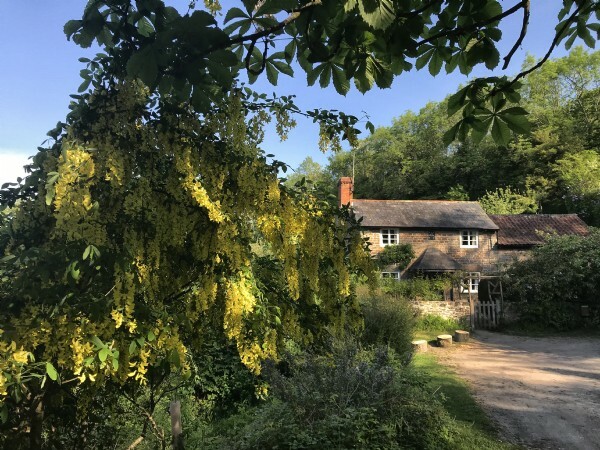 Learn to paddle your own canoe Just two miles from this little country cottage at Hereford Canoe Hire, join Will, who also skis for Team GB in the winter, on a paddle down this stretch of serenity on the River Wye. 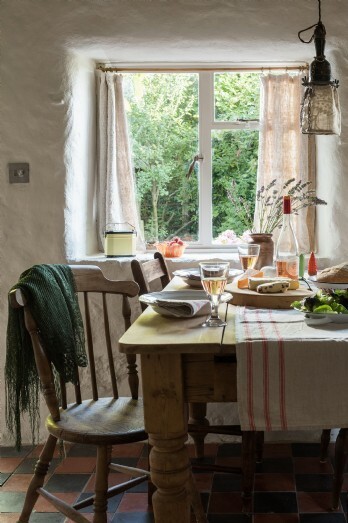 Drift to a pub and stop for lunch, take a picnic to snack on the banks, or moor up by one of the river's beaches to dip toes in meandering waters. Canoe for an hour, half day or whole day, but do not pass this opportunity by. 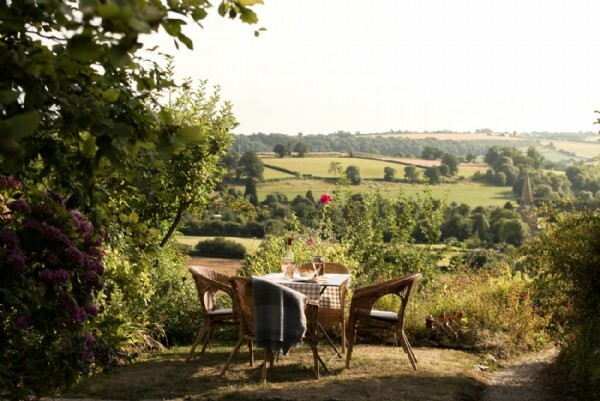 For a barbecue to write home about, get on down to Pork and Two Veg, less than two miles down the road, to pick up a supply of free-range bacon and sausages for summer evenings under the sunset. You can't have an al fresco dinner with bread and cheese, however, and the Saturday market at Ledbury is just the ticket; enter an emporium of artisan goodies and return laden, ready to feed the brood. If locally sourced food made by three passionate men is your game, then a night at Rule of Tum's Burger Shop is not to be missed. 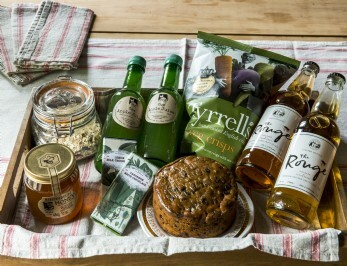 A rolling menu of seasonality and a constant of tasty treats, this is a big hit with almost everyone in the area. Be sure to book! 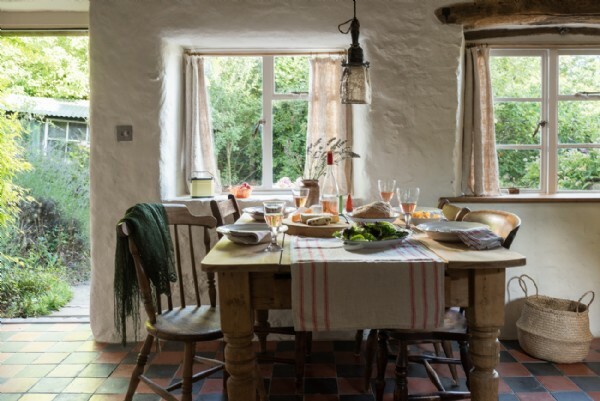 Any weekend in Hereford wouldn't be complete without a Sunday roast larger than your head; for this, it can be no other than The Cottage of Content.